three women on a mission to eat. 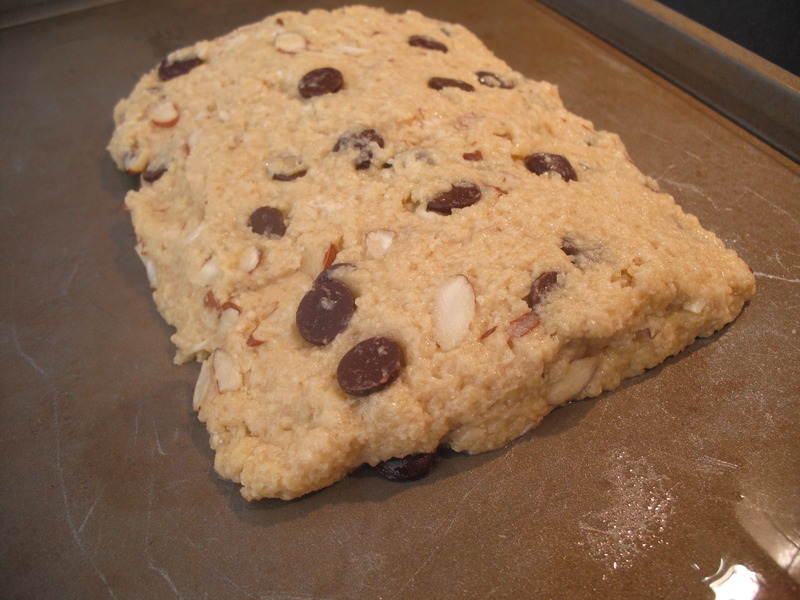 Mix all ingredients in a bowl until it forms a sticky dough. Add almond milk as needed if it doesn’t come together or is too dry. 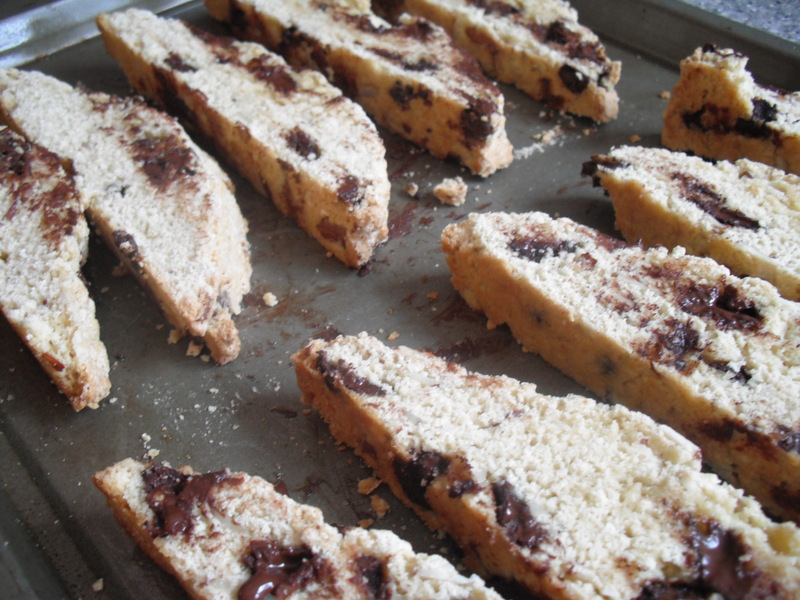 Form into a long log that tapers at each side on a greased baking sheet. There is no butter in the dough so don’t forget the grease on the pan. Take out and cool for at least thirty minutes. If you cut it too soon it will crumble. Slice into desired thickness using a serrated knife. I went for a thicker pieces so it wouldn’t break and would be substantial when dipping into coffee. But you can experiment there. Bake for 7 minutes a side to toast. My Ecuadorian counterparts are going to love these with their coffee. 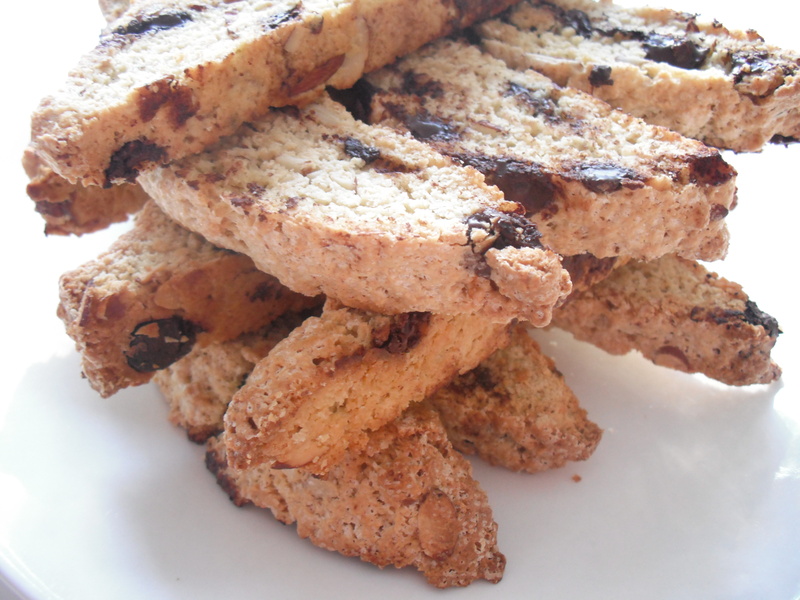 I never realized how easy biscotti could be…if it is easy. It is! And with no chemicals! It’s just a waiting game to make sure you let everything cool down before you cut it.